Vocal delivery isn’t something most artists like to experiment with. Mostly because when it misses, it can really throw the whole feel of a track off. Bo Rocha doesn’t have this problem. She can go from singing a smooth hook to abruptly jumping to a rap-like verse, in a way that doesn’t feel jarring but instead incredibly organic. It’s this confidence that’s most immediate when listening to her material. 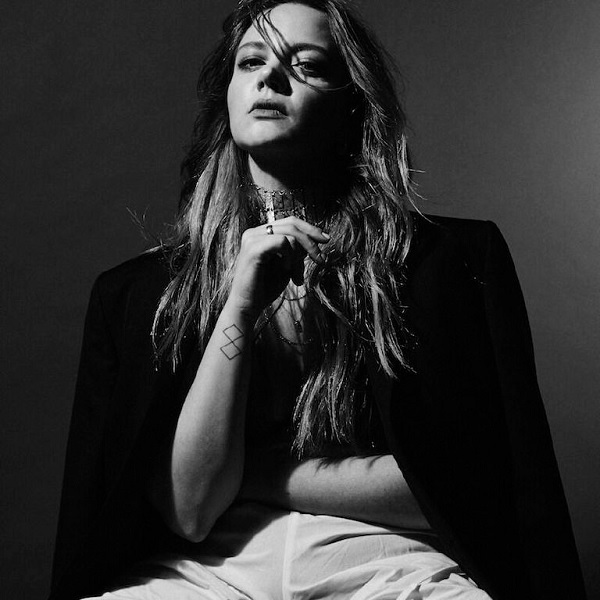 Her latest, “Hold My Gaze” is no different, featuring Rocha’s vocal back-and-forths over sultry electro-pop production. The track is possibly the first offering from an upcoming full length, so expect more goodness from Rocha soon. For now, get familiar with the singer by streaming “Hold My Gaze” and reading our short Q+A with her below. I am a singer and producer from London and a musician kind of by accident. I was supposed to take up a job in politics in Berlin a few summers ago and spent a couple of months continuously writing in the run-up. And I just kind of never stopped. Music was my first love though, I started playing the piano at 4 and singing a bit later so it was always there but it was more classical and jazz. I didn’t start writing songs until university where I was studying something completely different. I never really got on with the very set-way of doing things in the classical world though so I guess it’s being free of those rules that makes me want to write music. I saw a video on your Instagram of you playing a song entirely by yourself, using only the synthesizer to provide instrumentation. Do you play live like this or record like this? Ha, no I haven’t recorded like that although I might try.. I suppose I write like that though not all at the same time! We were in rehearsal and the band went outside for a break so I was just messing around. When they came back I told them they could go home. Me and the synth had it covered. Your debut EP, Even Green, was just released last November and you’re already giving us more new material, which definitely isn’t a bad thing. Is “Hold My Gaze” our first taste of your full-length or a one-off? A full length is forming… Even Green was an exploratory time and I feel settled with my writing now. “Hold My Gaze” is maybe the first taste of that. I read you love William Eggleston, which stood out to me because I live in Memphis and his photos are so important to this city. What about him do you love? I do love William Eggleston yes! There are endless possibilities for stories in his work. The idea of the magical in the mundane. His eye for colour also blows my mind. I love ’70s photography in general, the way colour exploded in people’s work like a new dimension. There’s a young photographer in London, Chris Rhodes, who reminds me of his work. I also have a bad memory so I like to take lots of photos of things, places, moments I think I might want to write about later. Things to provoke a mood. I’m all about mood. Who are your other influences, artistic or otherwise? Well I love Nan Goldin for similar reasons. I like to read. At the moment I’m into dirty realists like Carver, Jayne Anne Phillips. Carol Ann Duffy’s Feminine Gospels.. I was given a New Yorker subscription this year and I’m about three months behind but the writing is next level. Otherwise my Mum is a big influence, she’s had a wild life. What’s next for you? Touring?